Disaster Cleanup Services is the number one choice for asbestos abatement services for the Denver, CO and surrounding areas. Asbestos is a very dangerous mineral and should only be handled by professionals who are certified. Luckily, we are certified, insured, and licensed to handle all types of asbestos removal and abatement. For more information, give us a call today. Our rates are very reasonable and our team responds quickly to all types of disasters. Above are just some of the illnesses caused from asbestos. If you believe your home or business has asbestos, give Disaster Cleanup Services a call today. We offer testing and removal services for the entire Denver, CO and surrounding areas. Disaster Cleanup Services is proud to offer asbestos testing to the Denver, CO area. Asbestos testing is an easy way to determine if the home or business you have contains asbestos materials. Asbestos testing is simple as we take samples and they are sent out to a lab for results. A simple test can give you the peace of mind, knowing that you, your employees, or family is safe from asbestos. For more information on our asbestos testing services, give us a call today. Home inspections are vital. However, an asbestos home inspection is even more important. These tests can save you from years of illness and possibly death. Before purchasing a home, you should have an asbestos test completed. This test will tell you if the home you are interested in has asbestos. If it does, you can work with the seller to either lower the price or to remove the asbestos. It is also important to do an asbestos home inspection before doing any major home projects. Asbestos can hide in tile, caulking, and even wallpaper. If you disturb the asbestos materials, your whole home will become exposed. Disaster Cleanup Services offers asbestos home inspections that are affordable to the entire Denver, CO and surrounding areas. Disaster Cleanup Services is the premier choice for all your asbestos abatement service needs. Our team of certified asbestos abatement contractors are all certified, licensed, and insured for your peace of mind. We not only offer asbestos testing and home inspections, but we offer asbestos removal services. If you are in the market for any type of asbestos service, give us a call today. Our team will be out to your Denver home quickly to begin our assessment. We will determine if you need removal services or if other forms of abatement are possible. 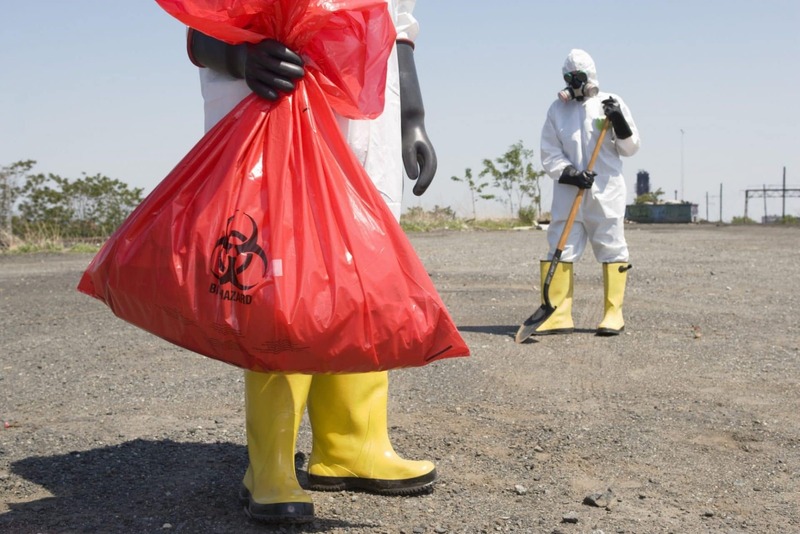 Disaster Cleanup Services is happy to offer the Denver, CO and surrounding areas complete asbestos removal services. Our team is certified to remove and dispose of asbestos. We also have the best equipment available to safely remove asbestos and ensure it is removed 100%. If you are looking for a company who offers fair prices and excellent disaster cleanup services, give us a call today. We guarantee our asbestos services and we know you will appreciate knowing that we treat your home or business as if it were our own! Certified, Licensed and Insured - Over 20 Years Experience! We provide Water Damage Restoration, Mold Remediation, Sewage Cleanup, Fire Damage Restoration, Hail Damage, Emergency Plumbing and Emergency Carpet Cleaning for our customers both residentially and commercially. We always make sure the work is performed quickly and professionally with your needs in mind. Steve was great to work with. Showed up shortly after we called.